Episode 4 of Top Chef Masters looks to match Magic and Cooking together as the four cheftestants create dishes for actor and director Neil Patrick Harris and his friends. For a full preview read my article at Top Chef Examiner. someone told me they're doing a recap episode tonight and we have to wait for another original episode. i hope that's wrong. Whoops - you were so right. 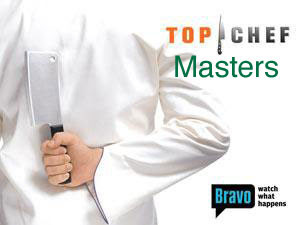 There wasn't a top chef last week. My bad! Thank goodness too since I was moving last Wednesday I didn't get my cable working to watch! Be back this Wednesday for a recap!